It has now been revealed that the two will be coming together for an advertisement for the 7Up soft drink brand. Dhanush who recently signed up as a 7Up ambassador has already taken part in a commercial. The next in line will be directed and shot by Gautham Menon himself. Both are currently seeing great success with each of their ventures doing good business. 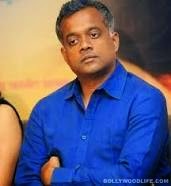 Gautham’s ‘Yennai Arindhaal’ starring Ajith is doing stellar business worldwide with ‘Shamitabh’ starring Dhanush and Amitabh Bachchan is reaping laurels from all corners. We wait to see the Gautham-Dhanush combo soon on the small screen. Let’s hope it transpires into the beginning of something bigger.